The best competitive sport from the future has landed on our computers. Prepare to dodge those lasers! When I first heard about Laser League, I was definitely not interested. There are too many local multi-player games being released these days and among them just too many top-down neon-infused arena deathmatches. Additionally, with all the different lasers filling the screenshots, I could not immediately understand what was going on. It took a friend to push me to try it before I finally gave Laser League its chance, and it was worth it! Please read on. Let’s get this straight, Laser League is not a traditional deathmatch game. The aim is still to kill the enemy team, but indirectly, by using the moving lasers on the screen. There are pillars or nodes that sometimes appear on the screen and move according to predetermined trajectories; touching them deploys laser beams (walls) that take the color of the team who touched them. Players can traverse lasers of their color without harm, but they die when they touch lasers of the enemy color. Consequently, this game is focused on movement and positioning, as players scramble over the arena in order to activate as many lasers as they can and maintain map control. Fallen players can be revived if teammates stand over their icons. Laser League is a team game, best played as 2v2 or 3v3, however, local multi-player allows for 1v1 up to 4v4 (bots can complete the ranks). The action takes place in gorgeous Tron-esque or maybe holographic stadiums with Daft Punk-ish players, and matches are decided by the best out of three rounds. This game feels like a sport rather than a deathmatch and with the lack of blood it completely feels as if it is a competitive sport game that should be played in tournaments. Each arena has its own patterns of lasers, always symmetrical and well balanced, but the patterns can be vastly different. From turning crosses to speeding diagonals, each place feels different and more or less difficult to navigate. As the number of enemy lasers multiplies on the screen, it can become very difficult to find a path to move around. Thankfully, it is possible to exit from one side of the level to appear on the other side, opening new escape routes — or letting you blindly run into a passing laser that was reaching the other side. The laser nodes are only active for a limited period of time, which means that they are frequently open for the enemy team to make their play. The action feels frantic and requires a lot of focus, but the controls are not complicated so players can easily understand the game and get into its flow as the beautiful relaxing synths accompany the futuristic mood. Before a match, players can choose between several classes of characters. Different character classes can hack (steal) enemy nodes, dash, stun at point blank, teleport to a beacon, and so on. The classes add another whole layer of strategy to Laser League, although the offensive classes can be a bit too overpowered. Nonetheless, team composition offers a lot of tactical depth. Class abilities are triggered with RB on a controller. The only other controls are for movement of your character. It’s very easy to learn: perfect for pick-up and play. Additionally, power-ups appear on the map with a voice identifying them (a nice touch) and these can completely turn the tables. They can switch laser colors or steal all enemy nodes, divide or extend lasers, pause or speed up laser movements, and so on. The game is not perfect. First, Laser League is surprisingly big for its graphics (4.75GB) as the Unreal Engine is supporting this full 3D game with animated stadiums and audience. The grandiose aspect definitely improves the atmosphere, though. More annoyingly, it is not possible to create private lobbies for online games. There is online matchmaking and there are a few people playing, but it really seems like the game was geared for competitive play without finding a large enough audience. This is a shame, as the game totally deserves to see more success and a healthy multi-player scene. Still, there should have been private lobbies for friends who want to play together or for competitive matches in online tournaments. As it stands, when we played 2v2 we had to launch matchmaking separately and sometimes were paired with other players. One last gripe is that identifying who is who is harder than it should be, as people from the same team are visually very similar. Also, being assigned one color during the match and then another one in the following match can be quite confusing. 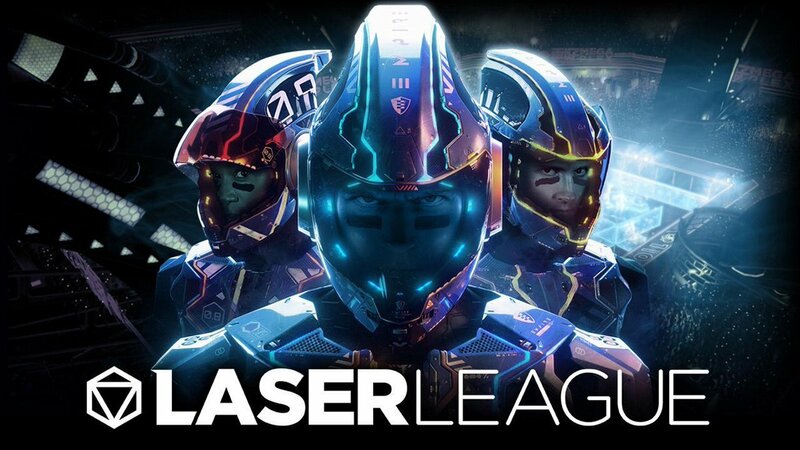 Laser League is perfectly suited to be a competitive sports game with Tron-like/holographic aesthetics, and yet it is instantly accessible and addictive. Perhaps it is not as funny as games like Duck Game or Stick Fight, but it feels unique and interesting as players run around trying to control the map by populating it with lasers of their own color, while attempting to outsmart or trap their opponents. Nothing beats outrunning a contestant running for the same node, only to die inches away from it as the enemy stuns you and activates the deadly beams. 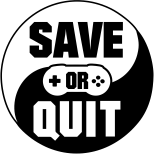 If you are into local multi-player games, this is a game to add to your toolset. If you have a fair number of friends to play with, give it a chance; you won’t regret it. If you want to exclusively play alone, be aware that this is clearly not the most populated game even though there are a few opponents to be matched against after a considerable waiting time.